What Is so Hot About Hot Spots? 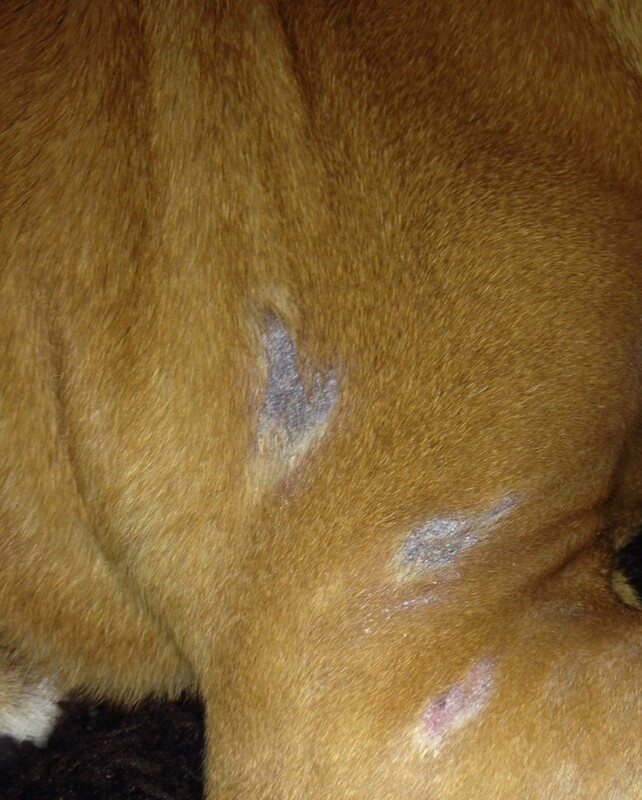 Sometimes, our doggy family members develop sores or bare, itchy spots on the skin. 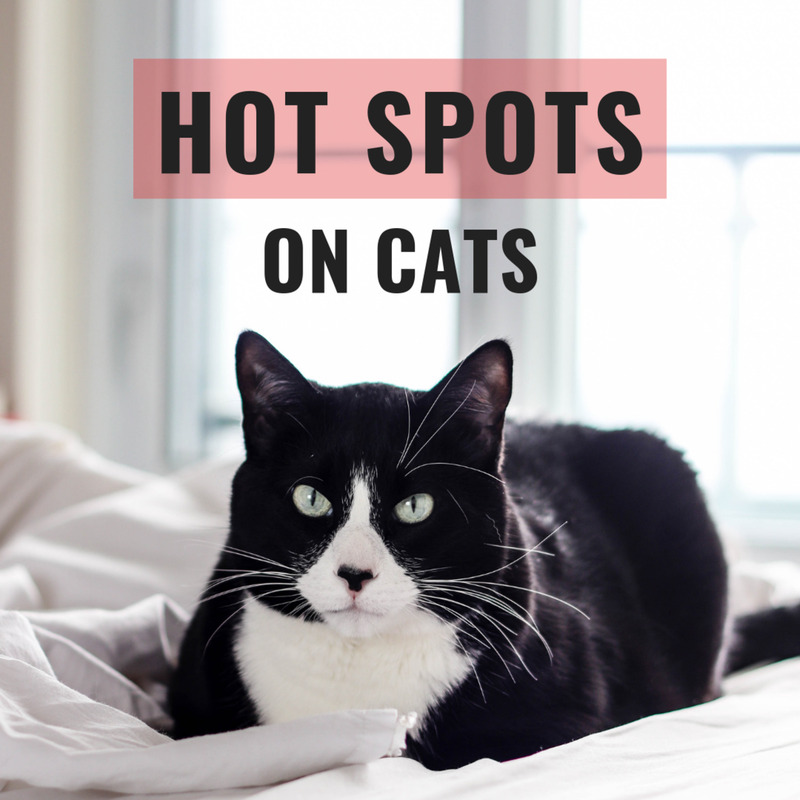 These are known as hot spots. Labrador Retrievers and dogs of similar size and coloration seem to be prone to developing this skin condition, especially during the warm summer months. If you notice your dog scratching, licking, or chewing at a spot on his skin obsessively, you should have it looked at immediately. Bare patches in the fur are often the first sign of a hot spot, and they will suddenly appear at the site where the dog has been chewing to relieve the itching. Hot spots can double or triple in size in just a few hours. Left untreated, they can turn into painful sores and hair loss. Untreated, hot spots can become seriously infected. There are several causes for the condition which we will examine in this article. Psychology: Is Your Dog Mentally Healthy? 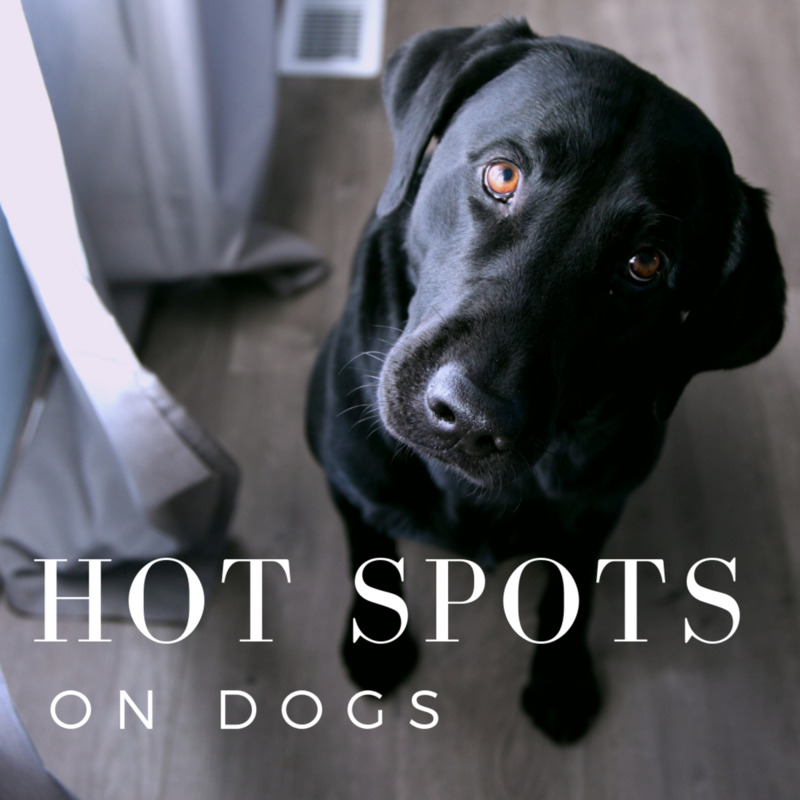 If you find that your dog frequently develops hot spots, go see a vet. Your veterinarian will do a full blood workup. One common cause of hot spots is a malfunctioning thyroid gland. 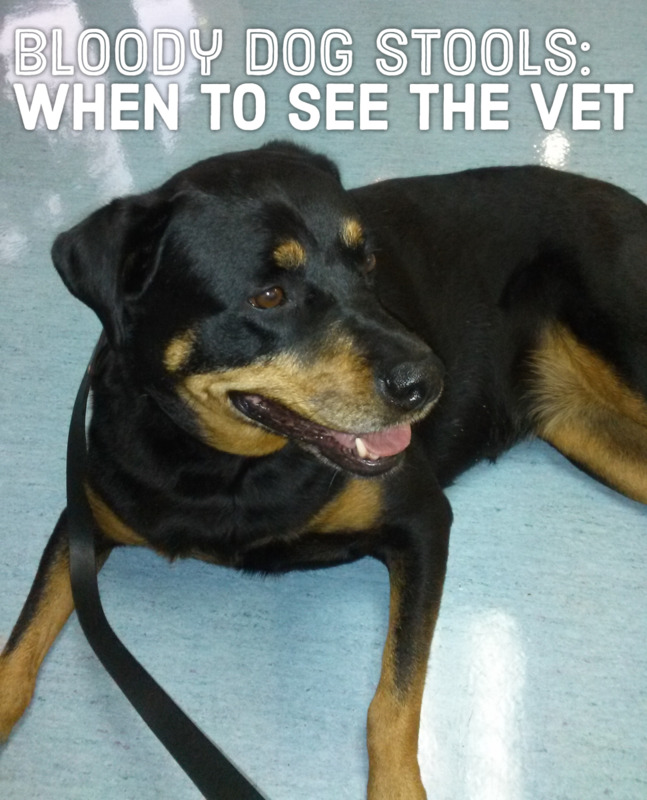 Be sure to always report hot spots to your vet anytime you are in for a checkup. Any unusual symptoms combined with blood test results may suggest an underlying condition requiring treatment. Just like people, dogs can develop allergies to food or things in the environment. Dogs can even be sensitive to some ingredients in dog food the way people are sensitive to certain foods like peanuts or gluten. 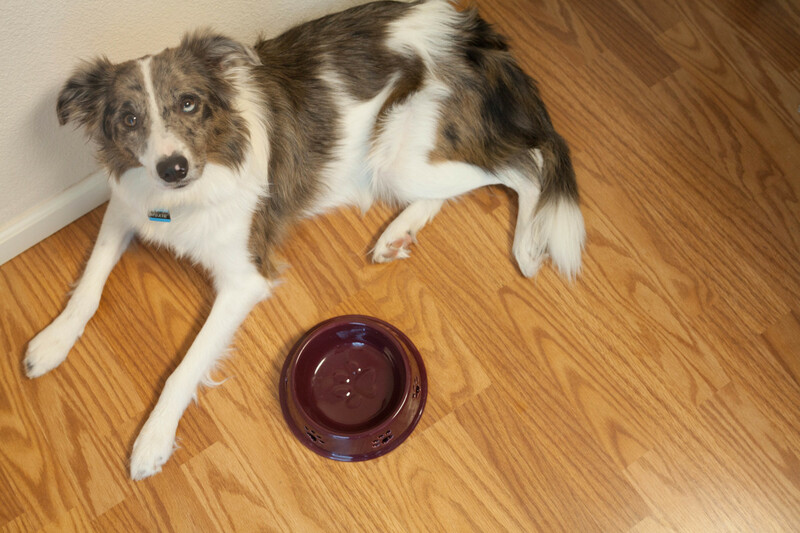 If you feed a dog the same type or brand of food all of the time, they may become sensitive to some ingredient in the food over time. If you don't change up their food, your dog may develop a more severe allergy to whatever it's sensitive to—something like 15% of canine skin diseases are caused by food allergies. If you don't treat these symptoms, food allergies can lead to mood changes, asthma, seizures, vomiting, sneezing, asthma, gas, and loose stool. Chemical and environmental irritants like household dust, some types of shampoo, pollen, shampoos, or some of the household chemicals you clean with can also trigger an allergic reaction. 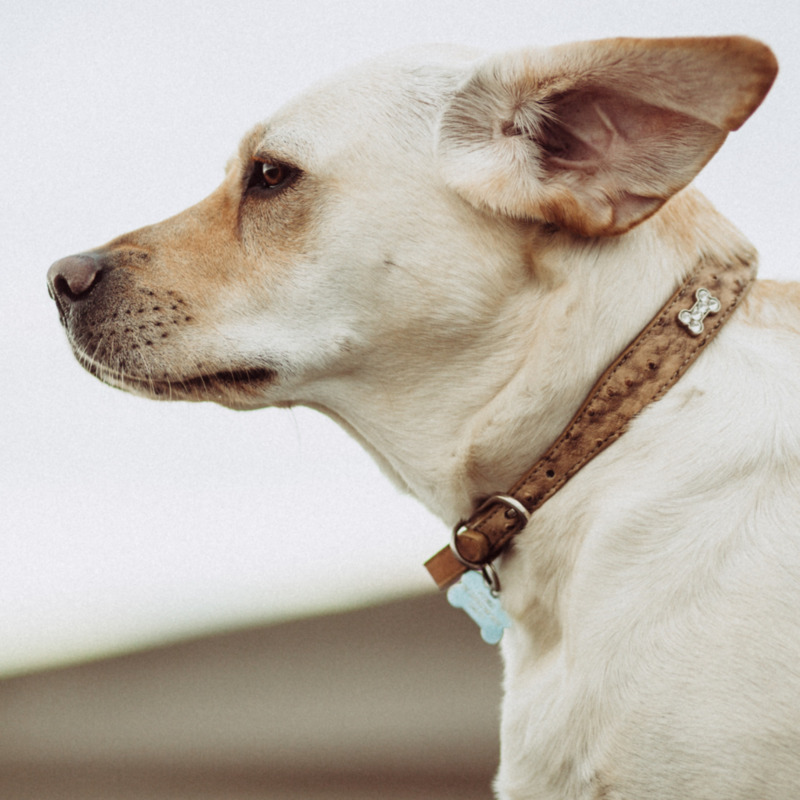 Another common cause of hot spots in dogs is insect bites, in particular, fleas and mosquitoes. Chiggers and other almost invisible insects can also create skin irritation at the site of the bite. 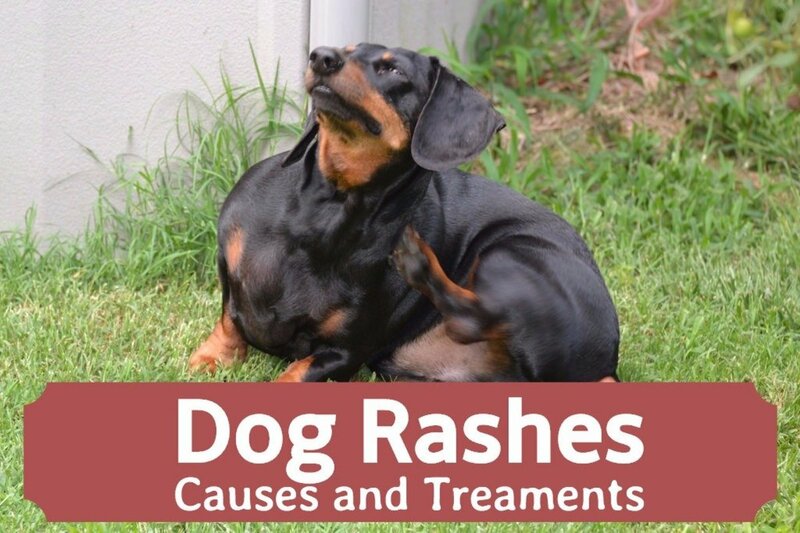 Dogs will scratch, lick, and chew on itchy, irritated spots and can pull away fur and break the skin. Insect-related hot spots are due to an extreme insect bite allergy called flea dermatitis. If bacteria gets into the open wound, the wound can spread. As the dog licks, scratches, and chews on the spot, it can cause bacteria to infect the wound. The wound can then grow and spread, creating a hot spot. FAD is an allergy to the saliva of fleas. It's different from the hot spots caused by flea bites because it doesn't require multiple bites. It only takes one bite to cause a severe reaction in the dog that has been bitten. FAD causes a reaction characterized by persistent scratching and spots that appear almost overnight. The above picture of my dog, Daisy, shows the most common FAD symptom—a Christmas tree pattern of hair loss on the lower back and at the root of the tail. Treat Your House: You'll need to treat your house for fleas first and then treat your dogs and cats at the same time. You have to do everything you can to make sure no fleas are left untreated. Methods: Dipping your dog is probably the best way to clear them. You can spray the house and treat your rugs with borate-based flea powder. Treat the Yard: Don't forget to spray the yard, too, especially in moist, shady areas, or piles of decaying material. Treat any spot your dog likes to lie around in. Treat Bedding: Stuff his bed with cedar or spray on rosemary oils to repel fleas; be sure to follow proper dilutions for safety reasons, and never spray your animal directly. Use Topical Treatment: Also, treat with a topical flea killer or a combination of anti-flea and deworming treatments. You can get these from your veterinarian. 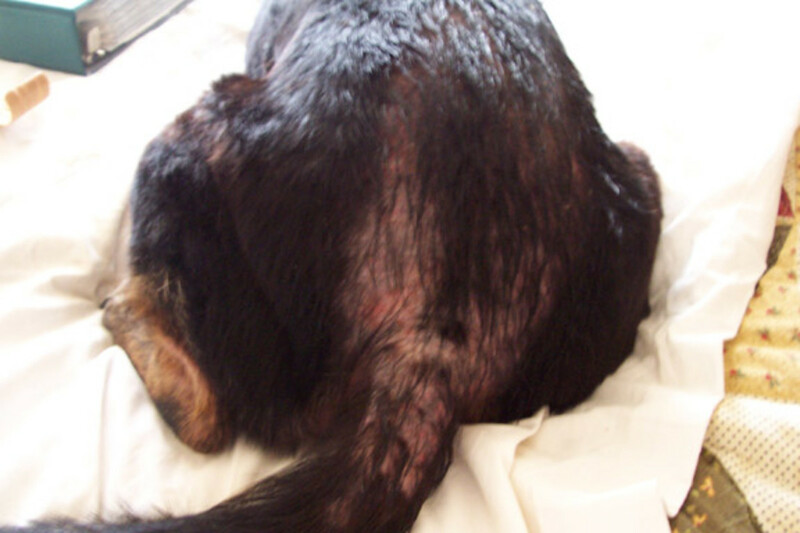 Be careful not to overdo the flea treatment as you can poison your dog if you are not careful. Hot spots can easily become infected. Bacterial or fungal infections can make the spots far worse, especially when your dog reacts to the flea bite. An application of witch hazel (per your vet's approval and directions) and/or a topical antibacterial product directly to the site can help it heal. A vet can also give your dog cortisone shots to relieve the itching while the spot heals. Diphenhydramine (Benadryl) can also help. Your vet will help you figure out the correct dosage. Medicated shampoos may also work, or an application of a vet-approved topical medication several times a day until the area dries up. Essential fatty acids are produced in a dog's body in order to maintain healthy skin and a healthy coat. Omega-6, omega-3 fatty acids, and particularly linoleic acid are essential for keeping your dog's skin healthy. If there is a linoleic acid deficiency, you'll begin to see dull fir, hair loss, and dry, inflamed skin. To prevent this, fatty acid supplements can help. With your vet's approval, try a supplement for 3 to 12 weeks to see if it helps reduce skin irritation. Fatty acids also help your dog's body to absorb vitamins which are important for healthy fur and skin. If you are supplementing, your vet will prefer that you use fish oils as fatty acid supplements for dogs since they contain a proper balance between omega-3 and 6. Pet stores and vets usually carry supplements and supplemented foods that will help prevent FAD. 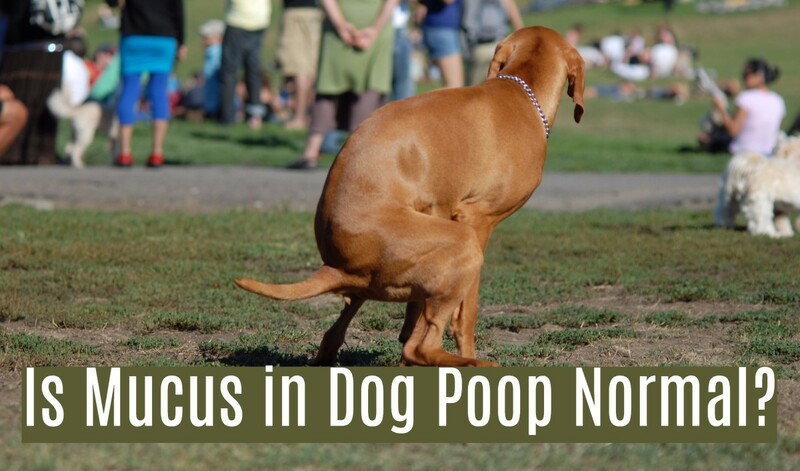 If your dog has FAD, it always will. It often gets worse as the dog gets older. Check with your vet as new research is being done with allergy shots to increase a dog's resistance. The only really effective thing you can do to prevent FAD is to keep the fleas off of Fido. 5. Psychology: Is Your Dog Mentally Healthy? Dogs are very social animals. They can get bored or stressed, and they even get lonely. Larger dogs like labs and retrievers can sometimes entertain themselves by scratching, chewing, or licking itchy spots on their bodies. As with all insect bites, bacteria can creep into lesions in the skin and cause an infection. So, play with your dog! Keep them happy and active, and you can prevent these sorts of problems. Playing with your dog not only helps them stay mentally healthy, but it can also do wonders for your mental health as well. There! You probably just then smiled simply thinking about playing with your dog didn't you? So go do it! 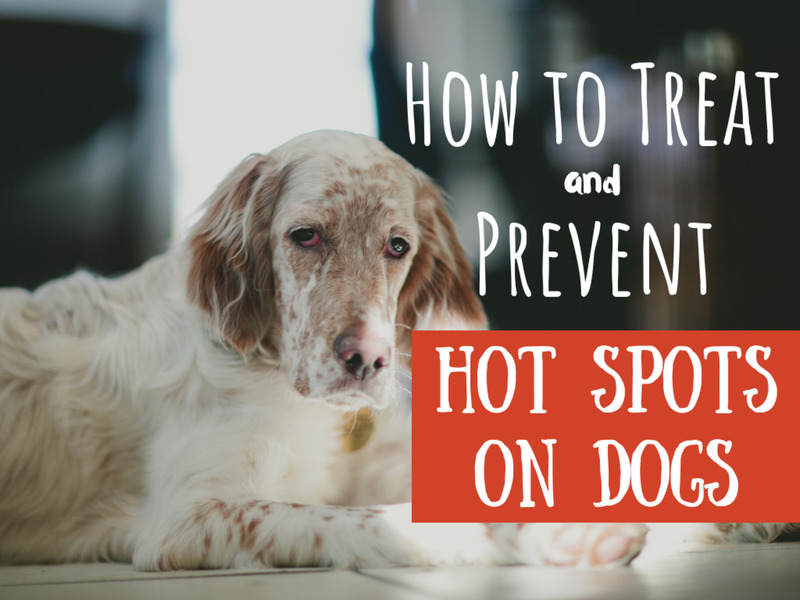 While you're at it, you'll be preventing your pup from having hot spots. Very informative hub! I have Newfoundland dogs and they've both had hot spots. It's so important to get the spots treated right away. I usually wash with anti-bacterial soap now the minute I think one is coming on.